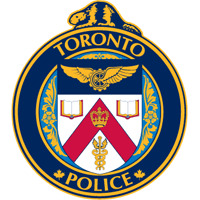 Today the police community/family lost another member while serving and protecting the streets of Toronto. Sgt. Ryan Russell of Toronto Police was struck and killed while on duty. This 35 yr old man who had been a police officer for over 11years risked his life to save others. He leaves behind a wife and young son. A good friend of ours in Toronto was very close to Sgt. Russell and our thoughts go out to him, his wife and their co-workers during this difficult time.